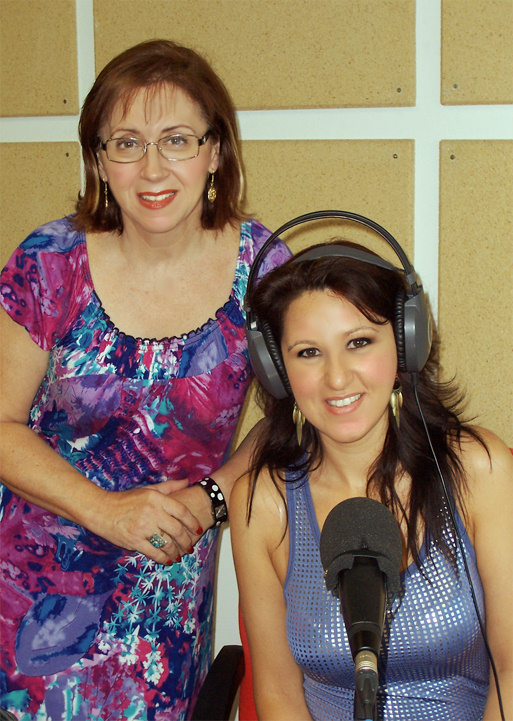 I made an interview at the radio of the University of Valencia (Spain). 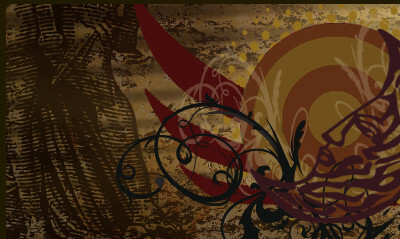 The program is called "Cuestion de Magia" and is directed and presented by Puri Benavent. To listen the interview click here. I took the train at 7:20 in the morning to go to the city where the interview took place, Valencia. During the journey, I think I was the only one that was awaken, everybody was sleeping. I could never understand how you can sleep in a train, but people make it. When I arrived Valencia, Puri was waiting for me, with her sweet smile. And we went to take a coffee. Then we went to Puti's house to prepare the interview. 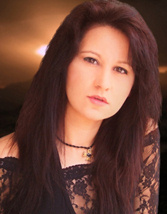 Puri Benavent is a writer, in addition of being a radio presenter and director of her own program. She is a very interesting woman and is a pleasure for me to have met her, and we became good friends. We chose the music tracks for the program. 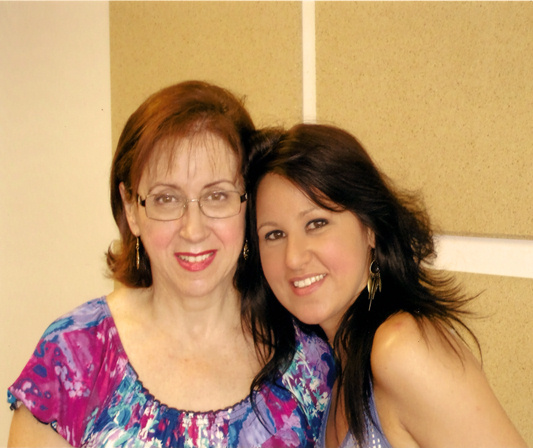 She loves music, and has an enormous collection of albums at her home. But when I saw some albums of Ennio Morricone, I said to her "I love Morricone" and she is so kind and lovely that she didn't hesitate to choose Morricone for the program. After this, we went to the radio studio. There we prepared the last ideas for the program. Puri took thousands of notes. It's amazing to see her working. And after some time, we started to record. The program was a success. I had lots of phone calls congratulating me. The program was about my career, my work and digital art. It's one hour long. One hour just talking about myself LOL! After the radio program, Puri invited me for lunch. And we had a long and pleasant conversation. The best of all was knowing Puri Benavent. She is a so clever woman, full of life, adorable, with a light in her eyes that you can't forget. 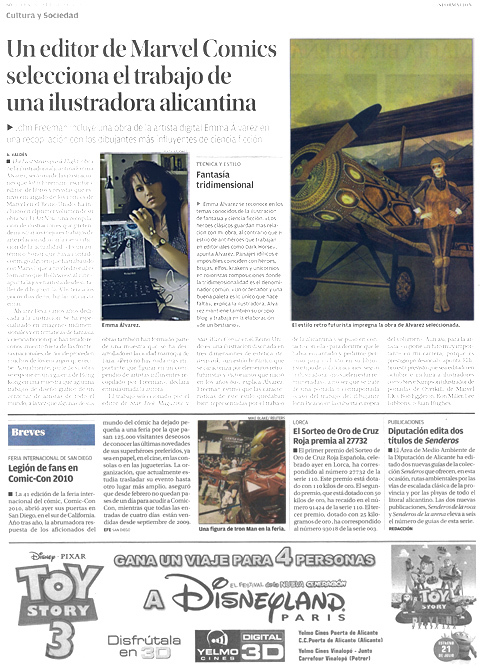 The newspaper "Diario Informacion" was very interested in my exhibition at Hong Kong. 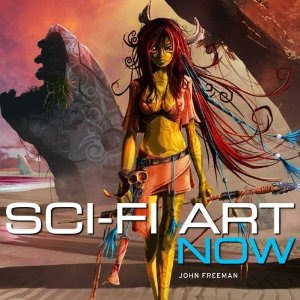 But when I commented them that John Freeman was going to include me in his book "Sci-Fi Art Now", they were very excited about this news. So they made me an interview. They wanted to make me a photo, and proposed me to come to my house, as I work from here. So they sent me a photographer. They were also very interested in my work. I showed them my files and some things that I was doing and are not published yet. The article appeared in the web of the newspaper and in the newspaper itself. I must say that the following day the phone did not stop ringing, but people didn't recognize me in the street LOL! For now ROFLOL! 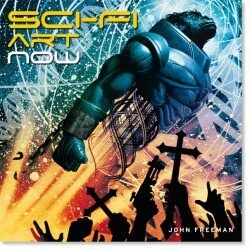 I'm so happy and proud with this: one of my artworks will be published in a book by John Freeman called "SciFi Art Now". The book, that will be published in October 19, this year 2010, is described in the publisher's site (ILEX Press) as a showcase of "the crème de la crème of contemporary science fiction painters, illustrators and creators", and "full of exquisite art from around the world". This book features many classic science fiction themes and sub genres as space ships, aliens, robots, cities of the future, or life in other planets. It's sold as a hardcover book of 192 pages, full of illustrations of classic and new themes of science fiction, including Steampunk. 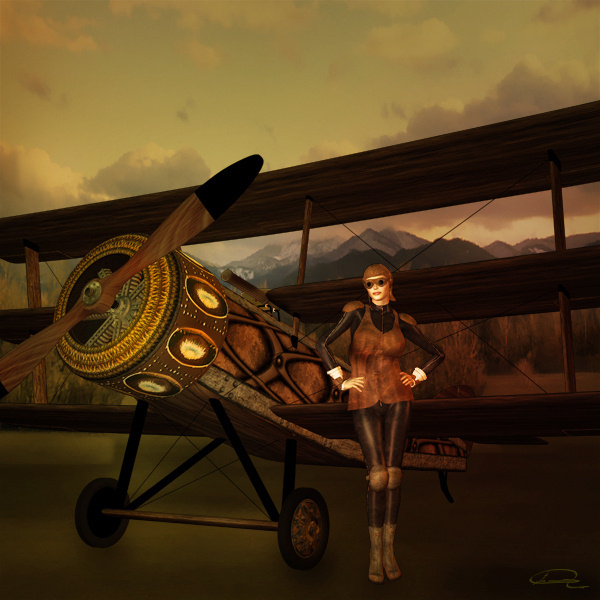 My work "The Last Steampunk Flight", that belongs to this genre, appears in this book, with a quote describing the inspiration behind this illustration. The foreword of the book is by the top science fiction artist Chris Foss and also includes works by Bob Eggleton, Ron Miller, Lee Gibbons, Rian Hughes and many others. The book belongs to a series of books published by ILEX called "Art Now", that was very successful. Ilex Press is considered a high quality publisher of reference books that cover all aspects of art and creativity. In North America, Ilex Press books are sold under various imprints by well-known publishers such as The Reader's Digest, Chronicle Books, Abrams, Harper Collins, Watson Guptill, St Martin's Press, Running Press, or O'reilly. They're translated into many languages including French, German, Dutch, Spanish, Portuguese, Italian, Polish, Russian, Chinese, Korean, and others. The UK cover is by the brilliant World Fantasy Award winner and Hugo Award-nominated artist John Picacio. You may have seen many book covers with his art. And the US cover is an artwork created specifically for SciFi Art Now by Steve Sampson, cover artist for many numbers of the Marvel UK comic "Overkill". The book is expected to be launched simultaneously in the UK, Europe and in the USA in October. You can anyway make a preorder in Amazon here and get the book as soon as it is published. The author, John Freeman, has worked in publishing for over 20 years. He is also a freelance writer and a creative consultant, whose talent as a writer qualified him to be the Director of the Lancaster Literature Festival. But Freeman is widely known for his work with Marvel UK. Freeman designed and edited Doctor Who Magazine and comic titles such as Death's Head II, Warheads, Overkill, and others. He was Managing Editor at Titan Magazines in London, publishers of a wide range of licensed science fiction magazines. He has, amongs other tasks, edited publications as Babylon 5 Magazine, Star Trek Magazine, Star Wars Comic, Buffy the Vampire Slayer, The X-Files, Xena, Planet of the Apes, Simpsons Comics UK and Manga Max. Titan Magazines is part of the Titan Publishing Group, publishers of Titan Books and owners of many Forbidden Planet (London) shops. He writes for diverse media including Star Trek Magazine itself, and also administers the British comics web site downthetubes.net, a top-notch site that provides news, events, and features for British comics fans. Having said all this, you can understand the extraordinary importance of John Freeman in the scope of science fiction and comics. 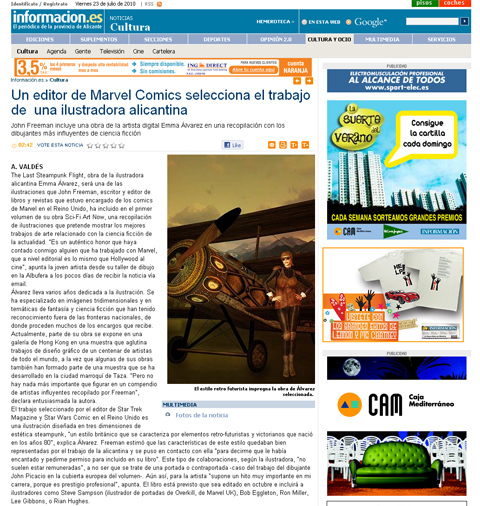 It's for me an enormous honor that he has picked one of my artworks for such a formidable catalog of sci-fi art. The new book of the series "Art Now" will show my work "The Last Steampunk Flight" in its pages, in company of stablished masters of the genre, to be seen by sci-fi art lovers worldwide. If you like science-fiction, you can't miss this opportunity to get a catalog of the best art in the genre. Pre-order the book in Amazon to ensure you get it even if the edition gets sold-out. Not only because I'm there :) but also for the diversity of depictions of this art that you will find in its pages. I will keep informing you more about this book, the art it contains and other things related in the next months, so stay tuned! I wanted to share with you that very soon my artwork "The Gothic Fae Lady" will be in Barcelona, in Real Circulo Artistico 5 through 25 August. I must say that I am very proud of exhibiting there because in that place there's a Dali exhibition. Never in my life I thought that one of my artworks will be near the paintings of one of my favorite painters (Salvador Dali). This is a gift for me. This artwork ("The Gothic Fae Lady") is in this moment in an exhibition called "Aires Creativos" that routes through several cities of Spain. It has been in: Jerica (Castellon), in the Socos Cultural Center (June); Alfara de la Baronia (Castellon), in the Exhibitions Hall of the City Council (July); and later it will be in Real Circulo Artistico (Barcelona, Catalonia), recognized by King Alfonso XVIII in 1916 (August). Plot: Angelina Jolie is Evelyn Salt, a spy of CIA, accused of being a double agent. She will have to prove her innocence. Plot: A group of mercenaries are being chased by some extraterrestrial rangers called Predators. Plot: In an ideal neighborhood, a black house with dry grass stands out. Under that house a band called Gru plan to make the biggest robbery of History: to steal the moon. Spain Won The World Cup! Yesterday Spain won the World Cup in one of most difficult football match that I've seen in my life. Netherlands played in a very aggressive way, but Spain won. And today the Empire State showed a Spanish flag in its top. The match was a really difficult one. It seems that Netherlands players tried to win us injuring our players. But the Spanish players were very determined and won in a clean way and showing that they're the best team in the world. It has been a great happiness for Spain. It was very moving to see in the news how the Spanish soldiers in peace missions in other parts of the world celebrated Andres Iniesta's goal. I have to say that when Iniesta scored the goal I shouted so loud that I almost loss my voice. Iniesta scored the goal after being kicked more than 10 times. All the country is celebrating this and wanted to share it with you. I loved to see Rafa Nadal, another Spanish top sportsman, watching the match. Nadal is an example of good sportsman, very noble with his adversaries, with a great capacity for enduring and a very honest person. Nadal just won Wimbledon. He is one of the best tennis players in the world. Morgan Freeman, my favorite actor, was also watching the match. And also the Queen of Spain and the Prince and the Princess of Spain. Just some days ago Spain won Germany in an absolutely brilliant match, very good. When Spain won, the Queen of Spain was so happy that she went running to the dressing room of the Spanish players and LOL! Puyol, that scored the goal, was just wearing a towel, it was so fun! Another anecdote about the World Cup is the romance between Iker Casillas (the Spanish goalkeeper) and Sara Carbonero (a sports journalist). At the beginning of the World Cup, The Times in UK published that Sara Carbonero may distract Iker Casillas and that their romance will be the end of the Spanish team. They accused them of a poorly professional attitude and lots of European newspapers started to gossip about this. Yesterday, Iker Casillas, that is also the captain of the Spanish team, very moved for the victory, was interviewed by his girlfriend Sara Carbonero. It was quite a strange situation, and in the middle of the interview, Iker kisses Sara, and that kiss was as much celebrated as Iniesta's goal. Another thing that I liked very much about Spain winning the World Cup was because of the coach Vicente Del Bosque. Some years ago, when David Beckham joined the Real Madrid team, Vicente Del Bosque had turned that team into a very successful one, and won lots of money for Real Madrid. Because of that, they could hire David Beckham. But the same day in which David arrived, Del Bosque was fired, saying that he had done all he could. That was so unfair. But yesterday justice prevailed because we won the World Cup. Today the Royal Family and the President received the Spanish team, and now there's a big celebration in Madrid and in all Spain. The two little girls are the daughters of the Princess. They are so cute. The wife of the Prince is from Asturias, the same place where I was born. Oh, just one more thing! The goal's video! Ronnie James Dio died recently on May 16th, 2010, of a stomach cancer, and with him one of the most emblematic voices of heavy metal died too. His real name was Ronald James Padabona, and was born on 10th of June, 1942, in Postmouth (New Hampshire, USA). His origins were Italian. Although he always had a great interest for baseball, his father felt that his son had great musical ability. So when he was 5 years old they gave him a trumpet as present. Dio was an excellent trumpeter, and he even played with Cortland High Jazz Band. Due to his skills as trumpeter he got a grant for going to Julliard music academy. But with the raise of Rock, Dio abandoned Jazz. In this moment he felt more inclined to play the guitar, bass or the keyboards. In 1957 he founded his first own band, and adopted the name of Dio, that came from a gangsters book. At the end of the '60s, his old band was renamed as "The Elves", and soon it was changed to "Elf". In 1971 Ian Paice and Roger Glover (Deep Purple) saw a performance by Elf, and offered to produce an album for Dio's band. They made a tour with Deep Purple. And Richie Blackmore recorded an album with them. Blackmore left Deep Purple and Rainbow was born, the mythical and legendary rock band. The voice of Dio became one of the most representative of rock. During the end of the '70s and beginning of the '80s, Ozzy Ousburne's health became worse due to his addiction to alcohol, and other substances, that brought him to a hard rehabilitation treatment. The substitute of Ozzy in Black Sabbath was Dio. The charisma of Ronnie James gave origin to Dio (the band). Dio left legendary albums in the history of rock. The figure of Dio, his voice, his evolution in the world of metal, will last forever in History. I must say that I saw Dio in a concert, and he left a profound impression on me. He was a men of a very short stature, and when he started to sing (oh my Gosh!)... he had one of the most powerful voices that I've heard. I felt impressed not only for his voice. Dio looked like a fantasy being, an elf, someone emerged from the depth of a forest, of extraordinary politeness, and with a special way of moving. Today he is not with us, but as all the big artists his talent will remain with us forever.